Before Stephen King, there was Shirley Jackson. 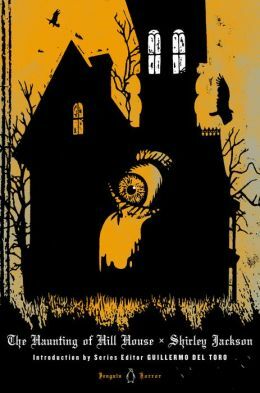 Since it’s October and our Halloween Display is up, I thought I’d choose a classic thriller, The Haunting of Hill House by Shirley Jackson. Written in the 1950’s, the novel became one of the most influential books in the horror genre. This psychological thriller will make your hair stand up on ends and make you feel like you too are inside the thick, disheveled walls of Hill House, where every right angle is a little off and the house is so big, confusing, and thrown together that the rooms seem to switch so that its guests can be easily lost–or worse. The Haunting of Hill House is full of rich characters and sinister imagery and NPR ranked the novel as one of the top three hauntingly unforgettable houses in literature. Most definitely, setting is an extraordinary part of the book, but at a point the story may have you wondering if the house is not only a place, but a character in itself. Without a doubt, Jackson’s poetic suspense and precise descriptions are what make The Haunting of Hill House the iconic novel it is today. If you’re ready to jump into the Halloween season where horror reigns supreme, consider checking out Jackson’s The Haunting of Hill House. This month you can find it in the cafe display with the rest of our Halloween favorites!